Here at Saint Fitness our one and only focus is the client. We invest a lot of time towards our clients and are committed to achieving and working towards that ultimate goal. Rewards are also on display if a particular goal is achieved! Support throughout your fitness journey. Living a healthy lifestyle has many benefits, from increased stamina to stress relief all the way to nutrition awareness. Here’s what Dane has to say about his 1-on-1 training sessions with Paul. 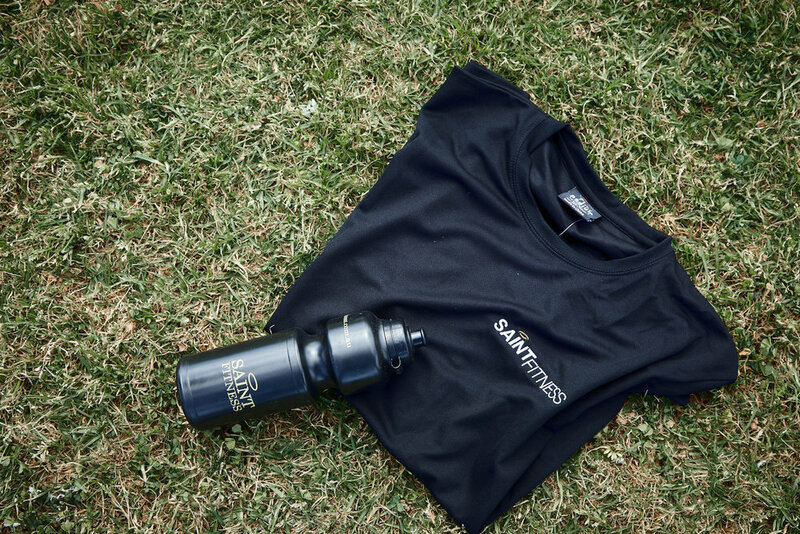 Each member of our Saint Fitness community receives a small welcome package on their first day with us! We always look forward to helping our clients throughout their fitness journey. As your personal trainers, we operate through discipline, empathy and enjoyment. "Training with Saint Fitness for almost a year now has improved my physical and mental well-being. I have seen my body transform over the months to the point where it has significantly boosted my confidence. I feel great and look great! Thank you Saint Fitness for pushing me out of my comfort zone and into a sustainable routine." We helped Mrs Australia reach her fitness goals, and more! Newly crowned Mrs Australia International 2018, Chantal Togany, discusses her journey to being crowned as Mrs Australia International 2018 and raising awareness for Act For Kids, an Australian organisation about preventing child abuse. With Chantal’s busy schedule as an Act For Kids ambassador and finalist during the competition, our trainer Paul was able to tailor a fitness program that would sit in nicely with her schedule.